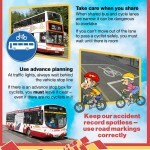 Complaints to Lothian Buses: email to mail@lothianbuses.com. Note that most (all?) Lothian buses have cameras recording what happens outside the bus as well as inside – but the recordings are only kept for a limited period (7 days???) so send your complaint promptly. 1612 CEC Bus Lane cutbacks – Permanent Order TRO/16/87B – Bus Lanes – change operational hours. Since the Council is determined to repel any objections (see 1611 & 1605 below) Spokes and Living Streets decided our time was better spent on other campaigns, so sent a short email repeating our previous objections. We did not again object to the parallel allowing-motorcycles Order (TRO/16/87A) as the bus lane cutbacks were the top concern of ourselves and other objectors, and councillors anyway are equally determined on the M/C Order. 1611 CEC Bus Lane cutbacks – Committee report 1.11.16 to make bus lanes peak-only permanently [pdf]. 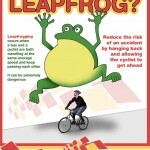 Letter to councillors by Spokes & Living Streets [pdf]. Despite the objections, the Committee agrees to promote the permanent Order. 1505 CEC Bus Lanes ETROs – making bus lanes peak-only experimentally, and allowing motorbikes. All documents are linked in news items: Committee decision to go ahead despite 150 objections. Glasgow 7-7-7 bus lanes decision. ETROs published. 1504 Bromptons by Bus Many bus companies [including Lothian & First – see 1002 below] officially only take folders if in a bag [& we have heard of occasional no-bag refusals]. Bus/bike expert Dave Holladay recommends an IKEA DIMPA bag, which, he says, also scrunches down to store when not in use. 1404 CEC Bus Lane Survey/Review Council letter [pdf 58k] Council survey form [xls 17k] Spokes response [pdf 232k]. 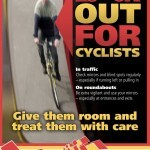 1203 Cyclist / bus training video … great initiative by Lothian Buses – also well worth watching by anyone using a bike. Video is also on youtube. 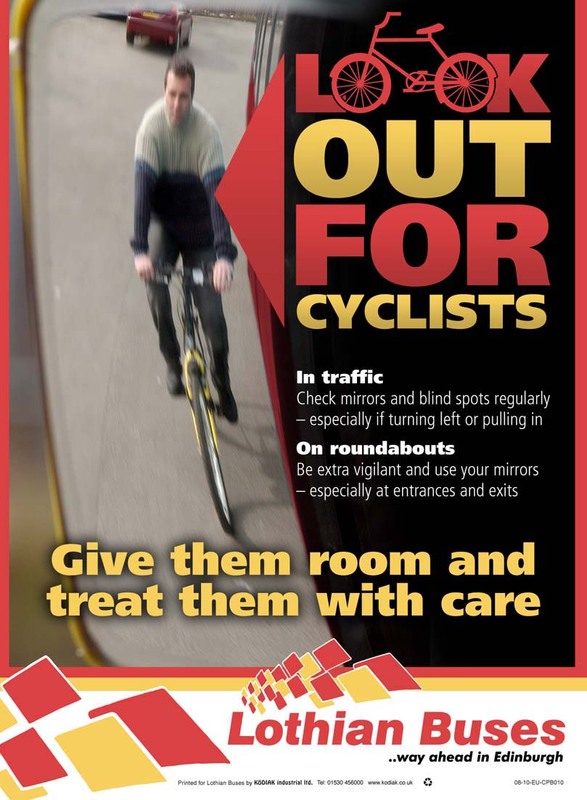 1106 Cyclists & Lothian Buses audio documentary … see Spokes news item 17.6.11. The audio piece was created and donated to Spokes by sound artist Emma Quayle of Audio Spring. 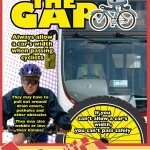 1101 Lothian Bus drivers complimented on awareness of cyclist tramline dangers … see Spokes news item 7.1.11. 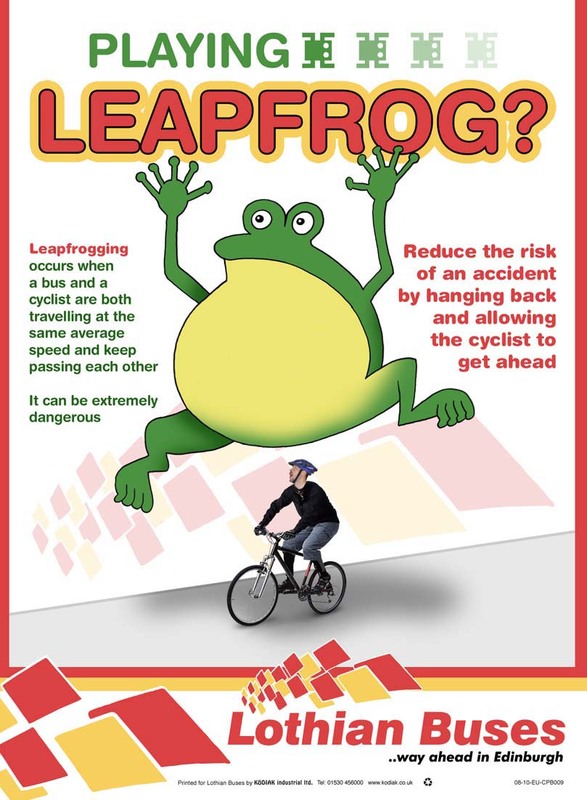 1002 Conditions of Carriage … confirming that folded bikes can now be carried on Lothian Buses, as promised by MD Ian Craig at our public meeting. 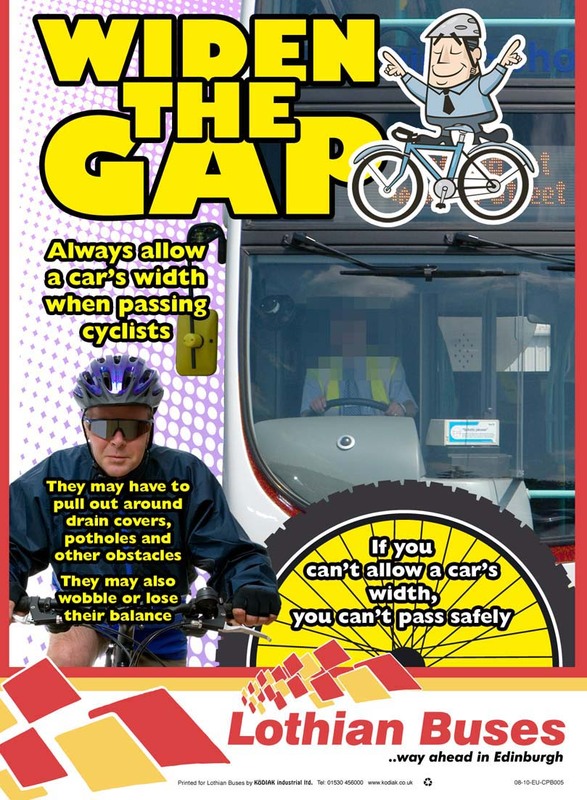 Also the slightly more complex conditions for First buses, who run most of the services in the Lothians – although we think that in practice this means that most folding bikes can be carried (and other bikes can’t). 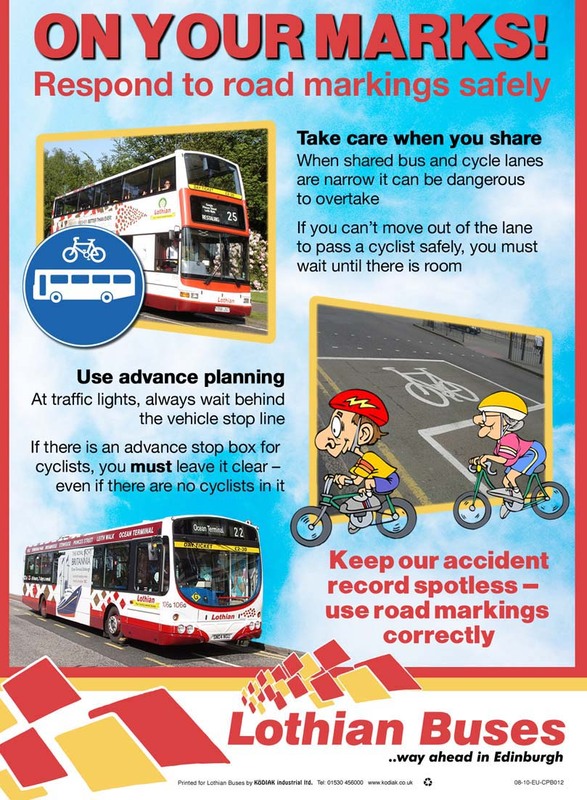 0809 Lothian Buses – bus/bike posters … Following discussions with Spokes in 2008 [see Bulletin 102 page 5] Lothian Buses new Managing Director Ian Craig took various initiatives, including producing this excellent series of driver-education posters.